Join us Saturday, October 14 from 6-8pm for a special unveiling of TANA Editions. Since 2010, TANA has worked with visiting artists to create limited edition silkscreen prints. We’re pleased to announce that our prints are now for sale. 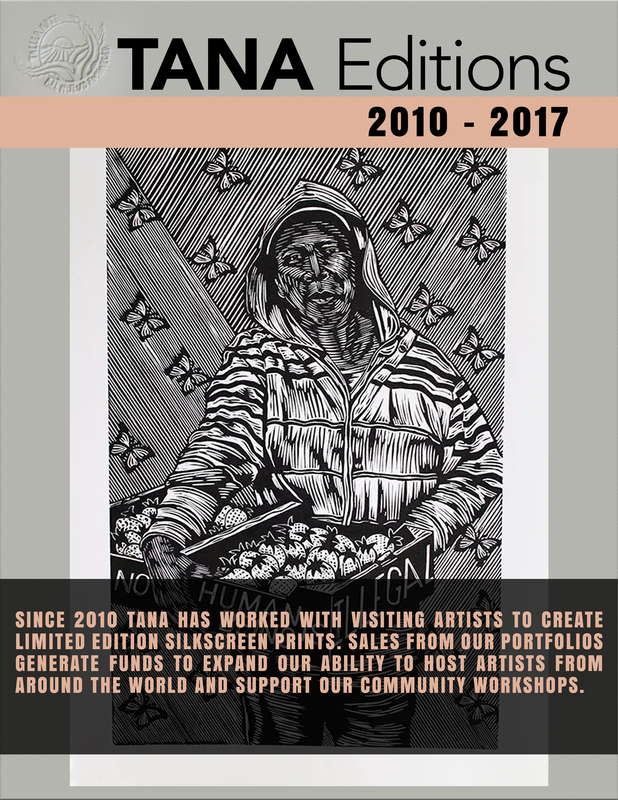 Proceeds from sales will help support TANA’s community workshops and our visiting artist program. The limited edition prints can be viewed on our online catalog viewable here. PRE-SALE: All prints half price!! Prints can be purchased by phone or via email. Please contact José Arenas to reserve & purchase prints, or to set up a private viewing of our editions.